🌷 Good Tuesday morning, and welcome to spring. Thanks for the emails about "1 Big Thing," our new Axios segment at 5:55 a.m. on MSNBC's "First Look," in the lead-in to "Morning Joe." Check out this quick-turn clip of this morning's edition, and tune in each weekday for a sneak peek at my top item. D.C.ers ... Please join me tomorrow at 3 p.m. at Howard University for the fourth leg of our Axios Smarter Faster Revolution campus tour. I'll be discussing the future of work with JPMorgan Chase CEO Jamie Dimon, comedian and activist Baratunde Thurston, Revolution CEO Steve Case, and MSNBC's Stephanie Ruhle and Ali Velshi. The White House is digging in for a fight that looks to be longer and messier than officials had expected. This is another example of the president responding to televised cues. Trump has spent most of his adult life in litigation, and obsesses about legal positioning in the same way that he is consumed by his press coverage. It's another pugilistic voice at the table, and suggests that this weekend's attacks on Mueller won't be the last. David Ignatius, on "Morning Joe," said this shows Trump is moving toward more of a "scrappy ... cable news style defense." The intrigue: In private conversations, the president has recently exhibited less confidence in his team. The WashPost says diGenova's "hiring caught many of [the president's] advisers by surprise, prompting fears that Trump is preparing for bigger changes to his legal team — including possible departures — as he goes on the offensive." If you read only 1 thing ... The Post adds: "Trump is not consulting with top advisers, including Chief of Staff John F. Kelly and chief White House lawyer Donald McGahn, on his Russia legal choices or his comments about the probe." "He is instead watching television and calling friends." A source close to the president who has direct knowledge of his thinking told Axios last night that Ty Cobb, the member of the team who's actually on the White House staff, is “100 percent secure” in his job. The WashPost calls him "a longtime antagonist of Bill and Hillary Clinton." DiGenova was named independent counsel in December 1992 in a scandal surrounding the search of passport files of then-candidate Bill Clinton by George H.W. Bush administration officials. After three years, diGenova ruled it “stupid” but not illegal. As U.S. attorney in D.C., he pursued corruption in Mayor Marion Barry's administration. Confirming the hire, Jay Sekulow, another member of Trump's team, told Axios: "Joe is an experienced Prosecutor and defense counsel. In addition he has served as a Independent Counsel and a Special Counsel. His experience and expertise is a great addition to our team." The N.Y. Times said diGenova "has pushed the theory on television that the F.B.I. and Justice Department framed Mr. Trump," and "will serve as an outspoken player for the president." The Times reported that diGenova "has endorsed the notion that a secretive group of F.B.I. agents concocted the Russia investigation as a way to keep Mr. Trump from becoming president." 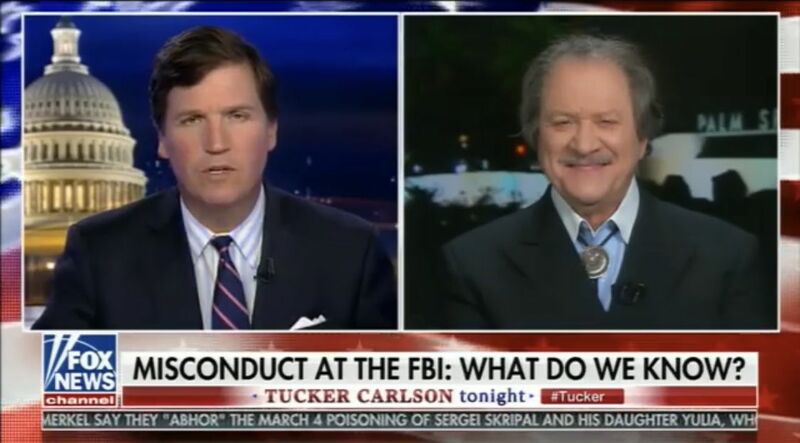 DiGenova told Tucker Carlson on Fox News in January: “[T]here was a brazen plot to illegally exonerate Hillary Clinton and, if she didn't win the election, to then frame Donald Trump with a falsely created crime. ... Make no mistake about it, a group of FBI and DOJ people were trying to frame Donald Trump [for] a falsely created crime." The Times points out: "Little evidence has emerged to support that theory." Fun fact: DiGenova's father was an opera singer and professional singer. His son has an operatic voice and is a frequent "ringer" at the Gridiron Club's annual dinner, playing prominent politicians as part of the journalists' spoofs and skits. It would be the stupidest thing the president could do, is fire him. Why it matters: It's not that the reports reveal anything particularly new about how Facebook's back end works — developers have understood the vulnerabilities of Facebook's interface for years. But stakeholders crucial to the company's success — as well as the public — seem less willing to listen to its side of the story this time around. Be smart: The Russia probe opened a Pandora's box about how Facebook works, how it uses data, and what its vulnerabilities are. With each new finding, Facebook is forced to deal with its demons from the past and reckon with the larger ramifications for democracy. The latest: The saga got even worse Monday night when the New York Times reported that the company's chief information security officer, Alex Stamos, is leaving the company after clashing with colleagues on how to handle disclosures of Russian activity on Facebook. Facebook shares fell nearly 7% at market close on Monday. Its stock hasn't seen this type of a drop in response to any of the major scandals its faced over the past year. Even during the Russia hearings on Capitol Hill, Facebook stock hit record highs. Republicans were unusually swift to call for action. GOP Sen. John Kennedy and Democratic Sen. Amy Klobuchar sent a letter to Senate Judiciary Committee Chairman Chuck Grassley calling on Facebook CEO Mark Zuckerberg to testify before Congress. Republican Sen. John Thune said he'd send questions to Facebook Monday night. In Europe, regulators are calling on Zuckerberg to testify before the U.K. Parliament's Digital, Culture, Media and Sport Committee. The British Information Commissioner, Elizabeth Denham, said her office was "investigating the circumstances in which Facebook data may have been illegally acquired and used." Consumers are balking at the news, with the hashtag #DeleteFacebook sweeping across Twitter, somewhat ironically. Media scrutiny is intensifying for Facebook, especially in light of the way it has responded to the news reports about the story. The story was the subject of cable news reports all day on Monday. Facebook's response: The company responded with a rapid-fire defense with executive-penned blog posts and tweet storms — and sent out executives to let everyone know it was outraged. Yes, but: Facebook has played the "we didn't know this was happening" card before, causing stakeholders to grow impatient and making them less willing to give the company the benefit of the doubt. In a note to clients, Barclays analyst Brian Johnson said the late Sunday night accident shows that, while carmakers may be 90% or even 95% of the way to optimizing autonomous technology, "it’s the last 5-10% which is the toughest to achieve." 2021 was — at least as of the time of the Uber accident — the year of the self-driving car: Volvo has said it will have Level 4 autonomy by 2021. So did Ford. VW and Hyundai say they may even reach Level 5. "The explosion occurred at a FedEx facility in Schertz, Tex., just northeast of San Antonio sometime around 1 a.m."
"Police ... said it appears ... a trip wire was used to trigger [a Sunday night blast that was the fourth in 17 days. The] new form of detonation indicates the person making the explosive has a higher level of skill or sophistication." "The earlier bombs, which were hidden in packages, appear to have been detonated by movement devices, which would complete a circuit when the package was lifted or tilted." "Employing a detonating device that doesn’t target any particular person would indicate a dangerous capriciousness and callousness ... [T]he bomber 'wants to strike out at some perceived wrong, and anyone who gets hurt is of no consequence to him.'" "By mixing his targets — from specific people who receive a package on their porch to anyone who stumbles by — the bomber could be trying to spread general fear and unease throughout the city." Racial motive feared at first, per N.Y. Times: "The bombings ... alarmed black leaders because the two people killed were African-American and the seriously wounded victim was a 75-year-old Hispanic woman. ... The explosion Sunday, which injured two white men, suggested that the bomber or bombers were driven by something other than racial bias." "The Trump administration plans to impose tariffs worth as much as $60 billion on Chinese products as early as this week to punish Beijing for what the U.S. perceives as intellectual property theft from American businesses," Bloomberg reports. Why it matters, from WashPost: "Senior aides had presented Trump with a $30 billion tariff package that would apply to a range of products, but Trump directed them to roughly double the scope of the new trade levies." What's next, from Reuters: "One business source ... said that the China tariffs may be subject to a public comment period, which would delay their effective date and allow industry groups and companies to lodge objections." "This would be considerably different from the quick implementation of the steel and aluminum tariffs, which are set to go into effect on March 23, just 15 days after President Donald Trump signed the proclamations." "The statues were symbols. Symbols matter. We use them in telling the stories of our past and who we are. We can only move forward if we make straight what was crooked, make right what was wrong. It starts with telling the truth and taking an honest account of our history." 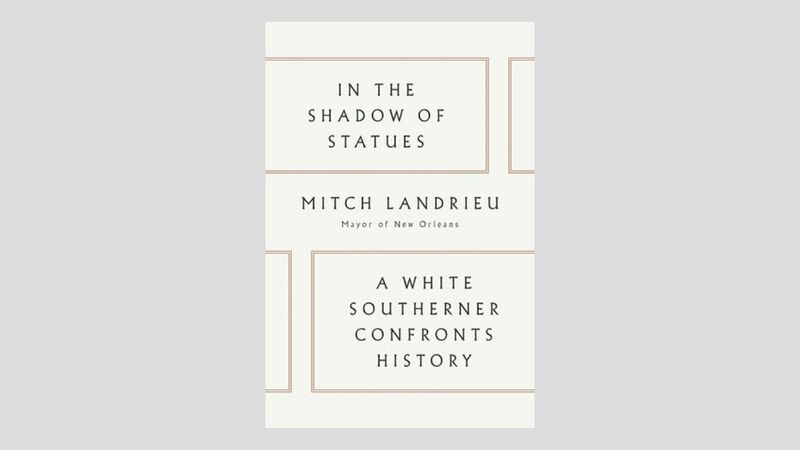 "The misuse of history is inflamed by the anger burning through demonstrations today, anger fueled by white supremacists and neo-Nazis who have stolen the meaning of Southern heritage from many whites who abhor their ideology but still hold hard to a rose-colored nostalgia for the past." "[H]ate is a learned behavior, passed down from parents to children." "Race is America's most traumatic issue. ... Here is what I have learned about race: You can’t go over it. You can’t go under it. You can’t go around it. You have to go through it." "We need to tell the truth about the past and understand that there is a difference between remembrance of history and reverence for it." See the video of the speech. "Security experts believe these measures have made urban districts less prone to mass shootings, which have mostly occurred in suburban and rural districts." Why it matters: "Officials in some suburban and rural school districts are now considering detectors as they rethink their security plans after the shooting at Marjory Stoneman Douglas High School." "The filing ... is the culmination of a long struggle to spare the formerly highflying studio from Bankruptcy Court." "The move to seek protection from creditors owed hundreds of millions of dollars comes after the company tried and failed to sell assets to a group of investors led by billionaire Ron Burkle and former Obama administration official Maria Contreras-Sweet." "MGM Holdings made the announcement Monday evening, saying it had initiated a CEO transition and and executive search for Barber’s successor." Wind and white frost have formed an ice sculpture on Brocken mountain in the Harz region of Germany. ☕️ Thanks for reading, and see you on Axios.com!